If you have employees assigned to more than one department, their pay can be allocated across these departments. This will facilitate accurate departmental analysis at the reporting stage. Employees can be assigned to departments within their employee record. Further information on assigning employees to departments can be found here. 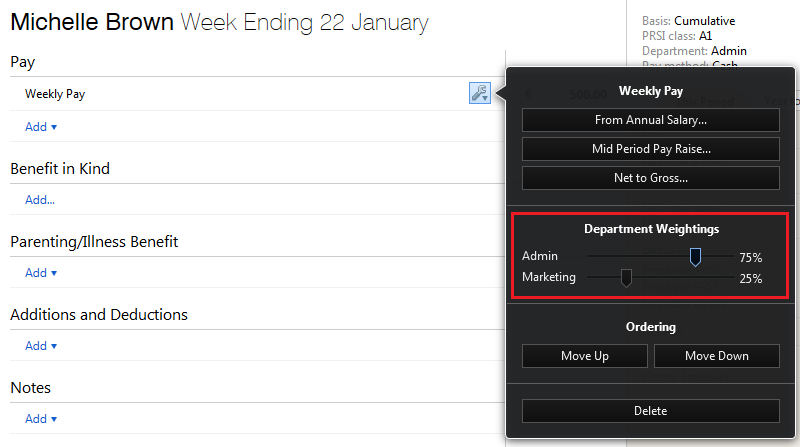 Within the ‘Payroll’ function, select the employee’s name from the summary list to access their payslip.